(TibetanReview.net, Dec01, 2017) – Amid continuing online social media spat over the development, the new representative at the Office of Tibet, Washington, DC, has taken charge on Dec 1, said the Central Tibetan Administration on its Tibet.net website Dec 1. The process of handing over charge from Mr Penpa Tsering to Mr Ngodup Tsering, who was hitherto the CTA’s education Minister, was overseen by the Representative for South America Mr Tsewang Phuntsok over Nov 28-30. Mr Tsewang Phuntsok, whose office is in the Washington Office of Tibet building, has also taken part in the handover ceremony. The CTA first announced the replacement of Mr Penpa Tsering by Mr Ngodup Tsering in a Nov 7 Tibet.net notice. Following an uproar by a section of the Tibetan public, the CTA issued a 10-point statement of clarifications on Nov 18, saying the incumbent officeholder had been removed “due to growing trust deficit, underperformance and insubordination”. This, however, failed to settle the matter and there was a protest vigil at the CTA secretariat on Nov 27 by around 100 Tibetans. 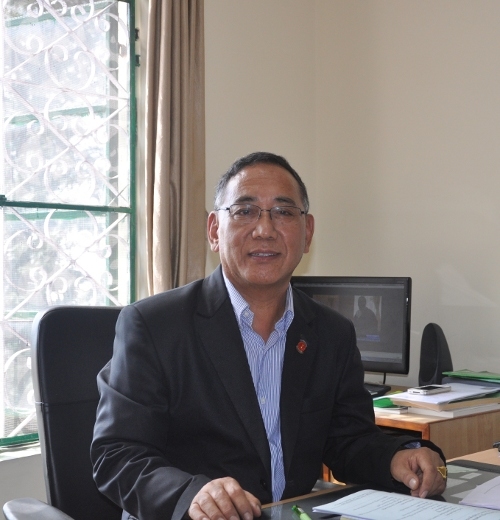 Mr Penpa Tsering also denied the allegations that had led to his removal from office and vowed to clarify the matter with his own version of events after handing over charge.